Parliamentary Secretary for Southern NSW, Katrina Hodgkinson and Parliamentary Secretary for the Deputy Premier, Andrew Gee have called for Expressions of Interest (EOI) for the second stage of investigations into a potential new dam at Cranky Rock. The investigations will involve feasibility studies as well as a cost-benefit analysis to more precisely calculate the water needs of the Lachlan region and identify how a new dam could be best used with other options to meet the water security needs of the region. Ms Hodgkinson said the first phase of the study, completed in 2014, recommended to progress with further studies into a dam at Cranky Rock. 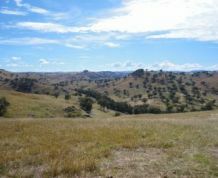 “The report identified that the lack of water security in the Lachlan Valley was limiting economic growth and there was a potential for storage to improve water security in the region,” Ms Hodgkinson said. “The next stage will involve more detailed studies to explore the potential social, economic and environmental impacts of storage and other complementary options. Mr Gee said that now was the best time to consider the combination of measures to address water security in the area. “The EOI process will allow the NSW Government to work with potential tenderers to allow them to fully grasp what needs to be achieved and then recommend their methodology through the tender process,” Mr Gee said. “Ongoing stakeholder consultation will also form part of the investigations, and any company that comes on board will continue to work with key stakeholder groups throughout the process. Expressions of interest close early March 2016.